The brand-new, shiny Eiffel Tower is the pride and glory of the 1889 World Exposition. But one sunny afternoon, as visitors are crowding the viewing platforms, a woman collapses and dies on this great Paris landmark. Can a bee sting really be the cause of death? Or is there a more sinister explanation? Enter young bookseller Victor Legris. Present on the tower at the time of the incident, and appalled by the media coverage of the occurrence, he is determined to find out what actually happened. 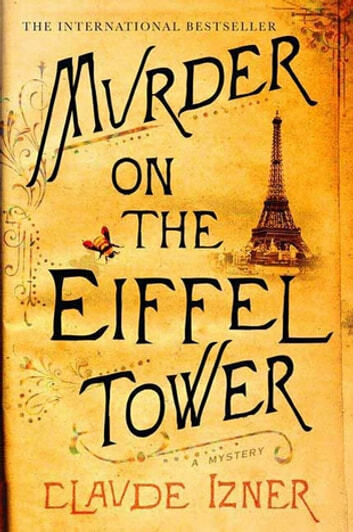 In this dazzling evocation of late nineteenth-century Paris, we follow Victor as his investigation takes him all over the city and he suspects an ever-changing list of possible perpetrators. Could mysterious Kenji Mori, his surrogate father and business partner at the bookstore Legris operates, be involved in the crime? Why are beautiful Russian illustrator Tasha and her colleagues at the newly launched sensationalist newspaper Passepartout always up-to-date in their reporting? And what will Legris do when the deaths begin to multiply and he is caught in a race against time? 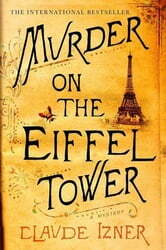 Murder on the Eiffel Tower is painstakingly researched, an effortless evocation of the glorious City of Light, and an exciting opening to a promising series of eight books featuring Victor Legris.